In 1940, with less than 20 percent of Americans living in rural or suburban areas, metropolitan downtown remained the hub of economic activity in the United States. Even families who lived outside of the city had to travel downtown for entertainment, including theatres, plays, restaurants, gathering space, and commerce. These figures changed drastically when the post-war automobile boom made it possible to live outside the city center where new suburban homes were being constructed at a rapid pace. By 2000, according to the U.S. Census Bureau, half of the U.S. population lived in suburban areas. This mass exodus resulted in outlying shopping malls and big-box retail, with their ample parking and one-stop shopping appeal. They soon replaced downtown areas as the center of retail, culture, entertainment, and gathering space. Downtowns became increasingly neglected as local businesses couldn’t compete with big box stores. Research analysts at Cowen and Company published a study in early 2017 that found “The number of malls in the U.S. grew more than twice as fast as the population between 1970 and 2015.” Churches and entertainment venues also followed locating alongside the residential development of the suburbs. Decades later, as communities grew with unimpressive, ubiquitous retail corridors, there was a renewed interest in downtowns and the sense of place found there. The homogeneity of ‘Anywhere USA’ left people searching to rediscover the shared experience found downtown. In no place is this seen more clearly than in the retail sector. Research firm Cushman & Wakefield published a study finding mall visits declined 50 percent between 2010 and 2013. Nine once formidable department stores filed for bankruptcy in 2017 alone. The result intensified an effort first brought about in the late 1990s and early 2000s to recreate downtowns on a national scale by reconfiguring the traditional indoor mall into new urban lifestyle centers that modeled downtown scale, walkability, and architecture. 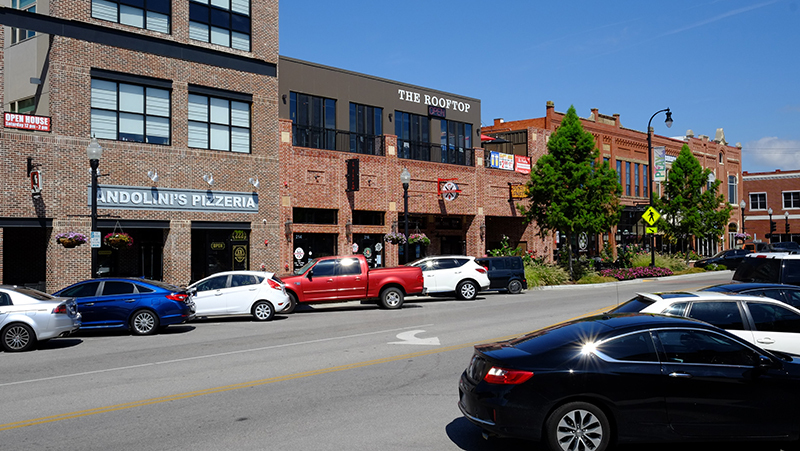 Ironically, due in part to the affordability of available space, actual downtowns became prime spaces for local businesses, retail, restaurants, and community destinations. In 2012, the U.S. Census Bureau issued a press release stating “Between the 2000 and 2010 censuses, metro areas with 5 million or more people experienced double-digit population growth rates within their downtown areas.” The takeaway: it is time for cities to build on this momentum. Municipalities, large and small, see the need to help quell the longing for a sense of place; urban planners come in to lighten that load. Christopher B. Leinberger, in a research brief conducted for The Brookings Institution Metropolitan Policy Program explains “Early progress must be made in building this expanded definition of infrastructure—along with a believable commitment to provide the rest—in order to attract the private sector developers and investors who will ultimately drive the downtown turnaround.” Municipalities are hiring planning and design consultants to redesign public spaces, knowing that private investment will soon follow. 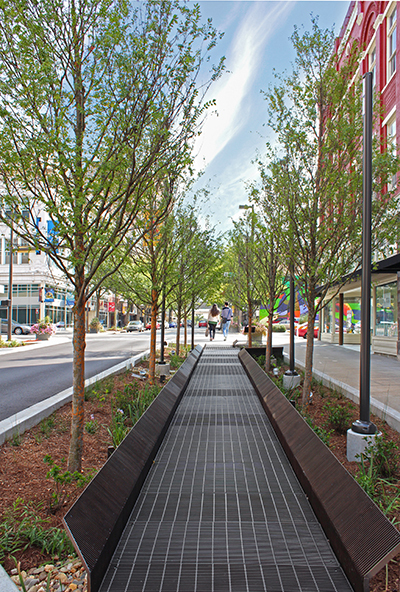 These projects often start with streetscapes, pedestrian spaces, bike lanes, plazas and pocket parks. Revitalization comes about when the public and private sector interests align. As a result, young professionals have begun to flock to live, work, and play in an authentic environment with layers of architectural history and development over time, rather than the re-created, mass-produced copies on the outskirts of town. With the renewed interest and eager consumers, planners focus on a community’s cultural, historical, and natural assets to emphasize its sense of place. In the world of Amazon and online shopping, fashion and décor have become homogenized. With the shift back to downtown, embracing a local pride and an authentic vibe is a valued commodity.